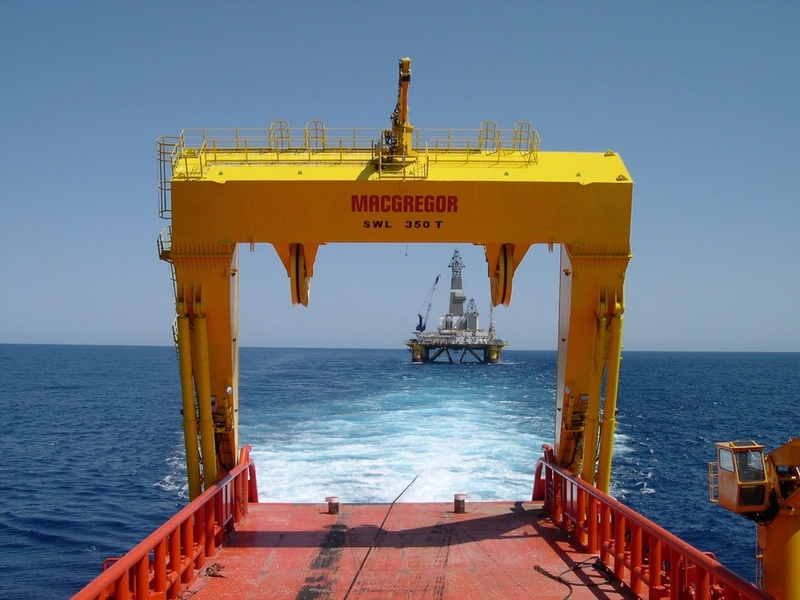 MacGregor A-frames are designed to perform a broad range of operations, such as offshore load handling (plough deployment), subsea load handling (anchor handling) and launch and recovery of special tools and equipment. A-frames with lifting capacity ranging from 1 to 350 tonnes are available in electro-hydraulic and electrically–driven versions. These may be delivered as self-contained and self-erecting units for mounting at stern or side of the vessel. The A-frames are available in centre-rigged, side-rigged, knuckle-jib and telescopic versions and may include winches and pendulum dampening scissor frames. A-frames are designed with a substantial structural and mechanical capacity margin for heavy subsea operations in corrosive offshore environment and for secure parking when not in use.